Most of the time, I’m thrilled to hear from people who are carrying every day, every place they can legally do so. Precious few of this group are carrying an extra magazine, something I think is a great asset when carrying a low-capacity firearm. Then there are those motivated individuals who opt for carrying a second firearm, or backup gun, wherever they go. While this habit seems to by a dying one among law enforcement officers, probably due in part to the comparatively larger gear burden a uniformed officer carries today versus 20-30 years ago, it seems more civilians are catching the BUG (definition below), especially when working or passing through high-risk areas. First, let’s define a backup gun, AKA BUG. For the purposes of this article, a BUG means a diminutive handgun, carried as a last-resort measure for bad breath-distance encounters with a violent criminal actor. A broader definition might include a full- or compact-size gun that you keep in the safe at home in case your everyday gun breaks, is loaned out, or is confiscated as part of a post-incident investigation. Another definition lends the BUG acronym, but isn’t tightly held to here. That’s the International Defensive Pistol Association definition of a Back Up Gun as having a maximum six-round magazine or five-chamber cylinder, a maximum barrel length of 3.5 inches, and a maximum unloaded weight, including the heaviest unloaded magazine, of 26 ounces. It must be at least a .380 caliber, ruling out one of the suggestions here. Other measurements apply, but you get the idea. Your idea of your best back up gun might be something as large as a carbine or 12 gauge shotgun, and that’s fine. But for now, we’re keeping it micro. Here, in no particular order, are five of my fun-size picks, and some considerations for making it your own BUG. As I write this, I remembered this was, for a short time, my first on-body carry gun. It has a dwarfish 2.1-inch barrel. 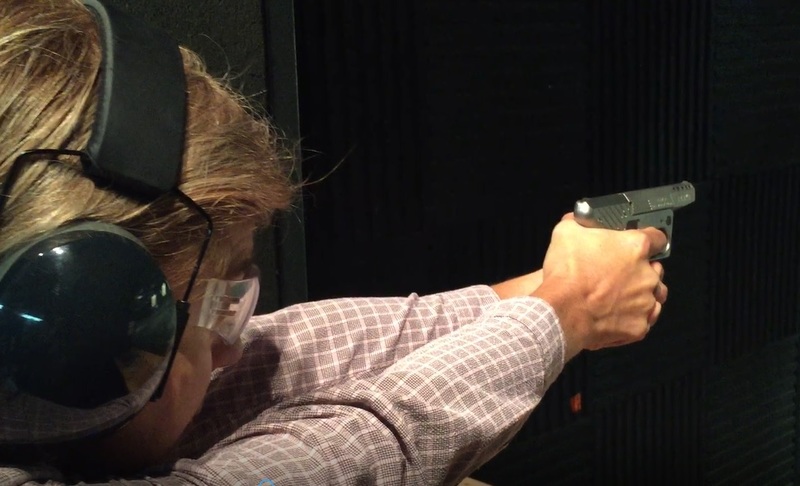 This six-plus-one capacity .32 ACP caliber pistol is surprisingly accurate for its size. I found the tiny sights that match the stainless steel slide quite difficult to see in some conditions. But this hammer-fired dandy never failed to go bang, and the .32 chambering lends centerfire power with soft recoil. Cleaning it isn’t easy. With an MSRP of $409 but actual tag of less than $300 in most markets, it’s not a bad gun for the price. The ammo, though, can be pricey and hard to find. 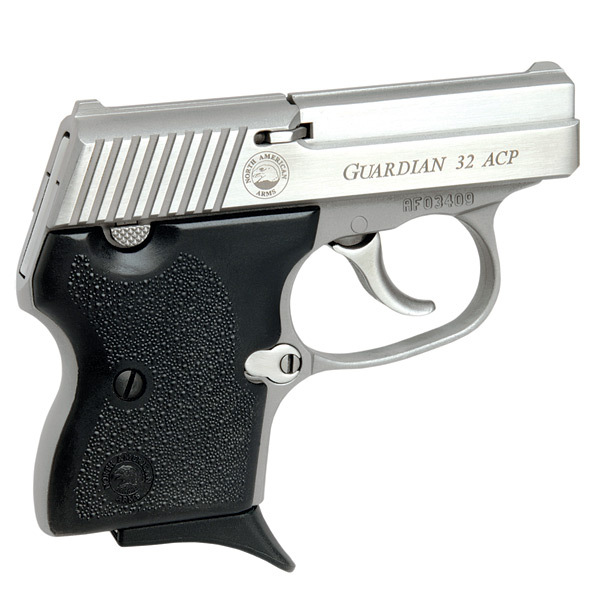 NAA 32 Guardian. Photo by North American Arms. Ruger truly listened to its increasingly experienced customer base when it overhauled its original lightweight, compact pistol design with a 2.7-inch barrel and six-round magazine. A less cartoonish look, improved trigger, and real sights make this reliable little shooter a favorite even as a primary gun for many. It’s not perfect, but it is perfectly acceptable as a BUG. Current real-world prices are in the $250 range, with a plethora of color choices besides black costing more. 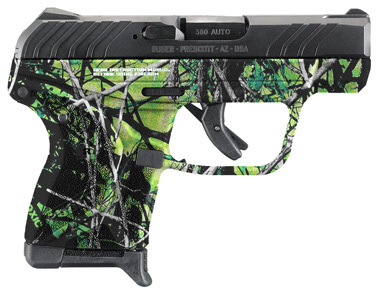 LCP II in camo finish. Photo by Ruger. Bond Arms Backup in 45 ACP or 9mm. The iconic Texas derringer company produced this handsome black matte-finish gun as a law enforcement BUG. I’ve spent quite a lot of time behind this two-shot firearm, and can vouch for its mechanical soundness as well as the company’s customer service. The mostly downward trigger pull takes a lot of getting used to, but is manageable once learned. When fitted with the .45 barrel, shooting this gun is punishing and bloodied the fingers of our two testers. In 9mm, it’s rather pleasing to shoot. As a bonus, other barrels and calibers can be purchased to stretch the utility of this one. This specialized derringer has a 2.5-inch barrel and costs $490. This is the largest BUG on this list, with a 3.25-inch barrel and six-round magazine. It can easily double as a primary concealment gun, and is pushing the limit of what is likely to be comfortable in typical BUG concealment places like an ankle holster. This is a famously reliable and simple to operate gun that can still be concealed under some kinds of athletic clothing. 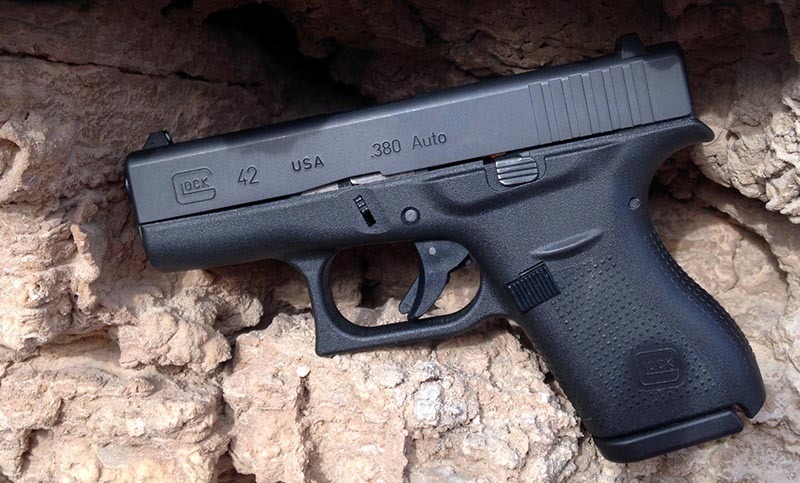 I reviewed it in detail here on ConcealedCarry.com. If you’re looking for something really different, how does a Remington .223 cartridge in a pocket-size derringer sound? Oh yes, Missouri-based Heizer Defense made that happen. The company doesn’t provide the barrel length, but the overall length of the PAR is 6-3/8 inches. 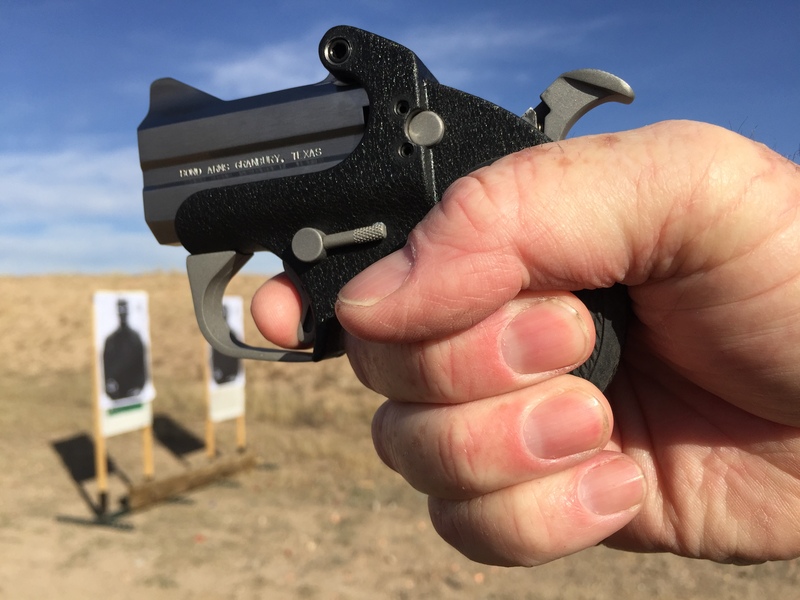 The trigger pull is in excess of 10 pounds and takes some practice, but you get amazing velocity and power, if only for the one shot this stylish, stainless steel derringer will fire before reloading a single round that can be stored in the grip. The PAR has an internal hammer action. It’s shaped to look like a wallet inside a jeans pocket. Though I don’t recommend holster-less carry, Its shape and heavy trigger pull make unintended discharge a very low possibility. Base price is $399; I recommend springing the extra $50 for its ported barrel which makes the difference between pain and pleasure after the first round! What about you? What's your best backup gun? Let us know in the comments below. Finally, go here to read our top holsters that we reviewed on this website. Great article and very well written! Good job Eve! Leave a Reply to Josh Sykes Click here to cancel reply.